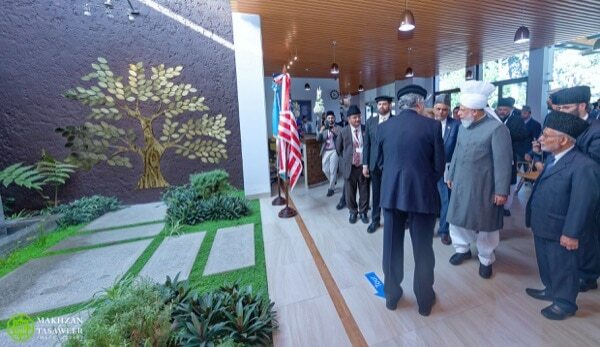 Keynote Address by Hazrat Mirza Masroor Ahmad(aba), Worldwide Head of The Ahmadiyya Muslim Community, The Fifth Khalifah(Caliph), at the inauguration of the Nasir Hospital of Humanity First in Guatemala. 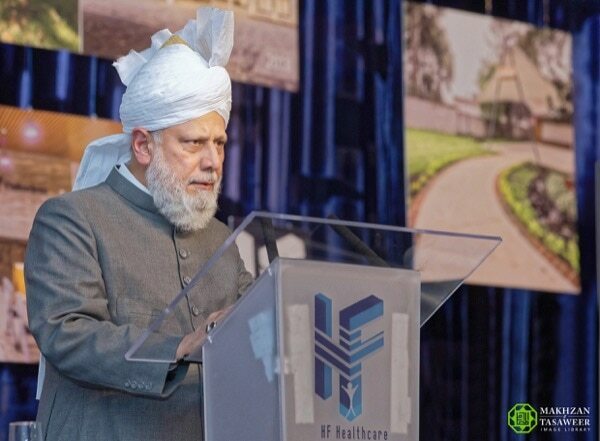 On 23rd October 2018, the Worldwide Head of the Ahmadiyya Muslim Community, the Fifth Khalifah, His Holiness, Hazrat Mirza Masroor Ahmad (aba), delivered the keynote address at a special reception held to mark the historic inauguration of the Nasir Hospital, a large-scale humanitarian project of Humanity First, an international charity established by the Ahmadiyya Muslim Community. 800 dignitaries and guests, representing 20 countries attended the reception held at the hospital, located in Sacatepéquez, Guatemala. His Holiness met with a range of dignitaries, including Congresswoman, Norma Torres from the United States, Miguel Figueroa, Vice Minister of Health, Guatemala and Iliana Dominguez, Member of Congress, Guatemala. A range of dignitaries also addressed the audience. They included US Congresswoman Norma Torres and Vice Minister of Health Guatemala, Miguel Figueroa. His Holiness also answered questions during a press conference with the assembled media. The highlight of the event was the keynote address delivered by His Holiness, Hazrat Mirza Masroor Ahmad (aba). The official transcript of the address delivered by His Holiness on this occasion is presented below. Firstly, I would like to express my sincere gratitude to all of our guests who are attending today’s event here in Guatemala. Undoubtedly, today is a source of great joy and delight for members of the Ahmadiyya Muslim Community, as the very first hospital built by Humanity First, in either Central or South America, is being inaugurated. In this regard, we consider it to be an extremely significant and landmark occasion. 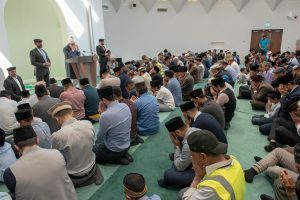 Whilst Humanity First is an independent charity and has its own mandate and strategies, at the same time, it was originally founded by the Ahmadiyya Muslim Community and continues to be managed by Ahmadi Muslims. Through financial contributions and other means, Ahmadi Muslims across the globe support the efforts of Humanity First, so that it can increase the scope of its humanitarian projects and further its reach. 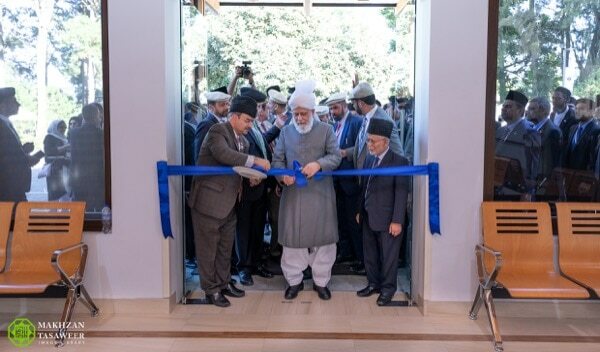 Thus, Humanity First has a deep and lasting connection with the Ahmadiyya Muslim Community, and so today is not only a day of happiness for the members of Humanity First, but for Ahmadi Muslims worldwide. You may well be wondering why we have built this hospital. The answer is very simple. It has been built with purely one intention, and that is, quite simply, to serve humanity, by providing high quality healthcare to the people of this nation. Also, I wish to clarify at the outset that having built this institute, this will not be the end of our services to this country; rather, it is my prayer that this proves to be the first of many humanitarian projects established by Humanity First in this region. Indeed, I hope and pray that the opening of the hospital serves as a launch pad, propelling Humanity First towards furthering their mission of providing relief, support and opportunities to people throughout the world. Perhaps some of our guests may be surprised, or even perplexed, as to why a Muslim community has so much passion and determination to help and serve non-Muslims? 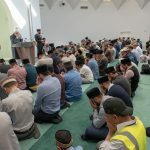 To answer this question, I should explain that ever since its foundation, the Ahmadiyya Muslim Community has always sought to be on the very front lines of serving humanity, whether it be directly through our own Community’s schemes, or through Humanity First or through the support of other charities and good causes. For example, over the past few decades, the Ahmadiyya Muslim Community has opened many hospitals and schools across Africa, in which the local people are provided access to healthcare and excellent education, irrespective of their ethnicity, religion or social background. Most of the patients treated at our hospitals in Africa are non-Muslims and around 90% of the students who study in our schools are non-Muslims. Thus, we do not discriminate against any community or people and do not give any priority to our own members. In terms of education, the schooling we provide is from primary age all the way up to higher secondary education. Our objective is for all children to be literate and to have a firm educational foundation, upon which they can build their future lives. Furthermore, we also provide scholarships for talented students, who otherwise would not have the means for higher studies, so they can fulfil their potential and build a better future for themselves, for their people and for their nation. 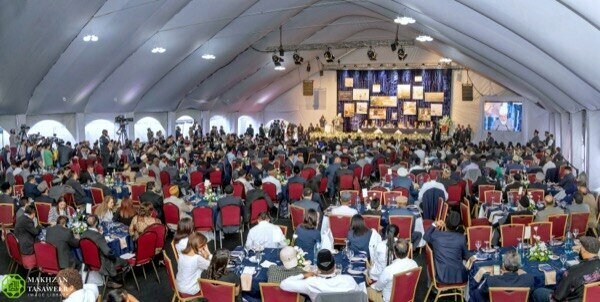 Accordingly, the Ahmadiyya Muslim Community, whether directly, or whether through Humanity First or otherwise, has a long history of serving humanity, of providing opportunities and offering comfort and help to people who are living impoverished lives. We seek no praise and no reward for such efforts, because we are merely doing what our religion has taught us to do. 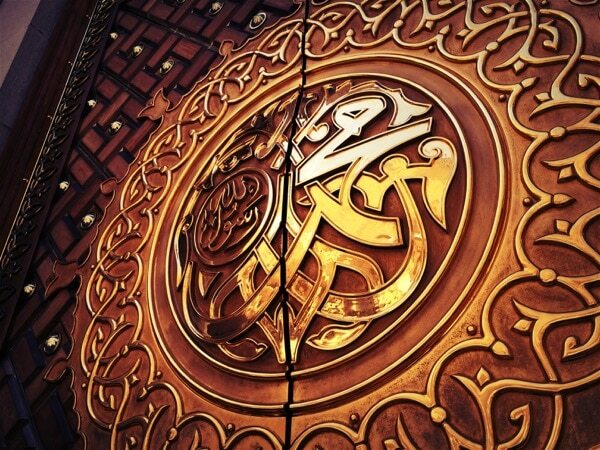 Our motivation and our desire to serve others is driven entirely by the teachings of Islam. 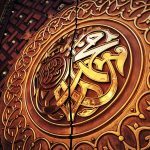 The guiding light for any true Muslim is the Holy Quran, which was revealed to Islam’s Founder, the Holy Prophet Muhammad (sa). Time and again, the Holy Quran has instructed Muslims to serve mankind and to fulfil the needs of those who are suffering, or are deprived in any way. It requires Muslims to be selfless and consumed by a love for others. It requires us to be ever-ready to make sacrifices for the sake of the peace and well-being of other people. For example, in chapter 3, verse 111, Allah the Almighty has stated that a Muslim is he who ‘enjoins what is good and forbids evil.’ Here, the Quran explains that true Muslims are people who promote goodness, stay away from evil and injustice and encourage others to do good deeds as well. 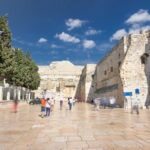 Only a person who has a sincere love for humankind and feels the anguish of God’s creation can be caring and sympathetic, in the way the Quran desires. Such profound love for humanity is only possible if your heart is pure and free from malice and selfishness. In chapter 2, verse 84 of the Holy Quran, Allah the Almighty instructs Muslims to speak kindly at all times, to be considerate of the feelings of other people and to love and protect vulnerable members of society, such as orphan children or those living in poverty or destitution. Thereafter, in chapter 51, verse 20, the Holy Quran states that the hallmark of a true Muslim is that he should care for all of God’s creation and should comfort and support those in need, whether they seek their help or not. Hence, it is not enough for a Muslim to wait until someone asks for help; rather, it is his duty to recognise the suffering of others and to make whatever sacrifices are required in order to help them overcome their challenges or troubles. Further, in chapter 90, verses 15-17, Muslims are instructed to feed the hungry, to show empathy and love to orphans and to help anyone in need, especially those mired in poverty or who are defenceless and weak. Muslims are taught to be the ones who comfort and love those people who have been failed by society and to carry the weight of their burdens on their own shoulders. Muslims are duty-bound to help underprivileged people, so that they can stand upon their own two feet, live with dignity and be freed from their desperate circumstances. In return, the Quran states Muslims will be rewarded with increased spirituality, which in turn will take them towards God Almighty and make them recipients of His pleasure. 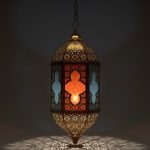 Similarly, in chapter 2, verse 196, the Holy Quran states that if a person wishes to save himself from humiliation, degradation and ruin, he must be kind, generous and do good to others, without expectation of anything in return. Chapter 4, verse 37 of the Holy Quran states that Muslims should care for their neighbours and reiterates that it is the duty of a true Muslim to fulfil the rights of the needy and orphans. It instructs Muslims to be benevolent and to treat anyone under their supervision with love, patience and affection. For example, if a Muslim has a subordinate at work they should treat them with kindness and generosity. Furthermore, in chapter 47, verse 39 of the Holy Quran, Allah the Almighty instructs Muslims to spend their wealth for the sake of helping others. Those who are unwilling to do so have been declared as niggardly and the Quran states that such miserly ways are not liked by Allah and are a means of darkening a person’s soul. All verses I have quoted emphasise the fact that, if Muslims desire to attain the love of Allah the Almighty, they must first show love to the creation of God. The verses clearly illustrate that the very foundation and bedrock of Islam is service to humanity. My purpose in sharing these Quranic quotes is so that you all know that Islam is not what is commonly portrayed in the media. It is not a religion of extremism, violence or terrorism; rather, it is a religion of love, compassion and tolerance. It is a religion that considers service to humanity as a fundamental obligation placed upon its followers. Thus, how could it be possible that a true Muslim be hard-hearted or fail to help those who are suffering or facing any type of hardship? I am with the weak because aiding the weak and poor is the means of reaching Allah the Almighty. Furthermore, the Prophet of Islam (sa) taught that Allah the Almighty was most pleased by those who helped the poor, who filled their empty stomachs and who arranged medical treatment for them. 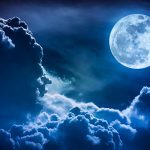 Hence, if a person claims to be a true Muslim, it is his obligation and overriding duty to assist all those who are facing difficulties and to strive to alleviate their distress and heartache. In the modern era, the person who, according to our faith, was sent by Allah the Almighty to enlighten the world of the true teachings of Islam, was the Founder of the Ahmadiyya Muslim Community, whom we believe to be the Promised Messiah and Imam Mahdi (Guided One). He was sent to show the world what Islam truly is and to propagate its teachings to all parts of the world. Serving humanity is itself a form of worship (of Allah). My state is such that if someone is in distress, whilst I am engaged in the obligatory prayers and I hear their grief, it is my ardent desire to break the prayer and to try to help that person and to shower them with as much love as possible. To fail to help a brother in their time of need or difficulty is utterly immoral and wrong. Furthermore, the Promised Messiah (as) said that, if a person did not have the material means to help someone struggling or facing difficulties, they should, at the very least, fervently pray that Allah the Almighty removed their problems. He taught that sincere prayer required a soft and pure heart and so Muslims had a duty to be sympathetic to the plight of others and to consider their trials as though they were their own. More than anyone else, I implore people to manifest the highest morals and love towards non-Muslims, such as Hindus. Treat all the creation of God with such deep love as though they are your close family members. Treat mankind in the same way that a mother treats her child. This is the way you should be and not that you help someone only so that you can attain benefit later or take a favour in return. In chapter 16, verse 91 of the Holy Quran, Allah the Almighty has instructed Muslims to act with justice and to do good to all others. Hence, you must treat even those people with love who have done no good to you. In fact, you should go beyond this and favour them and care for them as a mother cares for her child. What a magnificent and noble teaching! We have all seen and felt the pure love that a mother has for her child. A mother has no expectation of reward, nor does she seek any recognition. All the while, she loves her child more than she loves herself and never weakens in her resolve to nourish and protect her offspring. It is this mother-like spirit of selflessness that Islam requires Muslims to develop in their hearts for all of humanity and not just their own progeny. In practical terms, the Promised Messiah (as) wasted no opportunity to serve others. For example, he lived in a very small village in India in the 19th Century, where there were no proper medical facilities available. Thus, out of a desire to serve humanity, the Promised Messiah (as) studied traditional native medicine and would keep a stock of such medication in his home. As a result, the local people would visit him and, irrespective of their caste, creed or colour, he would distribute medicines to them according to their needs. Many people, especially the poorest and most deprived members of society, benefitted greatly from this provision. The only desire and objective of the Promised Messiah (as) was to serve humanity and this was the great treasure and legacy that he left behind for his community. Thus, the efforts of the Ahmadiyya Muslim Community to serve humanity in all parts of the world are entirely motivated out of a desire to ease the sufferings of mankind and this is why Humanity First is today opening its first hospital in this part of the world. With all my heart, I hope and pray that it fulfils its mandate and proves an exceptional means of alleviating the suffering of people, regardless of their religious beliefs, regardless of their age and regardless of their ethnic or social backgrounds. As I have said, we desire no reward or praise from the world, our only target is to seek the love and favour of God Almighty. We are forever inspired by the words of the Promised Messiah (as), who said that serving humanity was the means of fulfilling the true purpose of our lives and attaining the blessings and bounties of God Almighty. 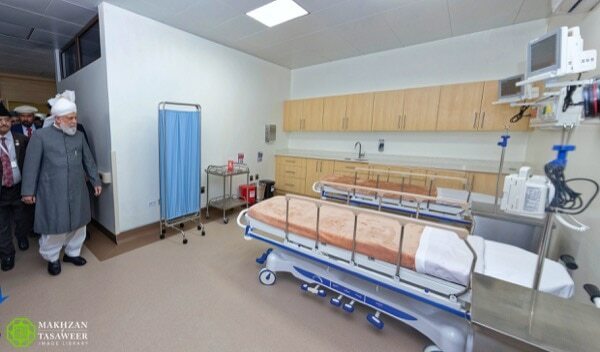 I am confident it will now be clear to all of you that we have not constructed this hospital in order to profit, or to gain favourable publicity; rather, our only objective is to serve the people of your nation, by providing high-quality healthcare to the people of this land. Rest assured, any funds generated by the hospital will be used to further serve the people of Guatemala and not a penny will be sent abroad. Whatever income is received through patient fees will be reinvested to ensure that those who cannot afford treatment can receive it at a subsidised rate or, if feasible, for free. Apart from this, any additional income will be used to maintain and improve the hospital facilities or to fund new ways to serve humanity. Our previous humanitarian projects testify to the truth of what I have said. Wherever we have built schools or hospitals, we have never taken any of the income out of the country; rather, we have always reinvested it locally in a way that benefits the people of that nation and the same will be the case here in Guatemala. God Willing, this is not the end of our commitment to serving this nation, but is only the start. 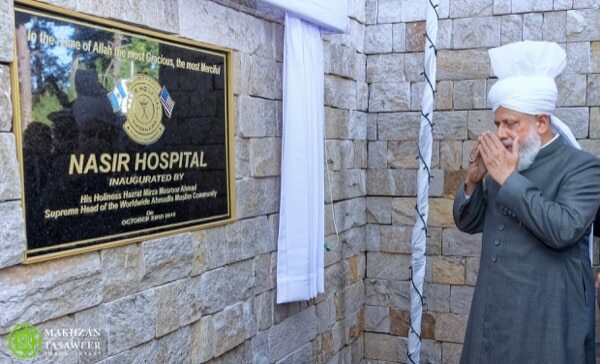 Certainly, it is my prayer and sincere hope that this hospital is the first of many humanitarian projects that we establish in this part of the world. I pray that we always continue to increase our efforts to fulfil our duty and responsibility to serve humanity. It is my prayer that Allah the Almighty blesses the hospital in all respects, enables it to go from strength to strength and that it proves a shining example of service to humanity. I pray that it provides the best possible care for patients and that the doctors and staff work tirelessly for the sake of providing relief to people, especially to those who are poor and deprived. May Allah the Almighty bless the work of the doctors and medical staff and enable them to heal and cure through His grace. It is my prayer that the administration manages the hospital in a way that the poorest people, who cannot otherwise afford treatment, are offered heavily subsidised care and, wherever possible, free treatment. This hospital has been named the ‘Nasir Hospital’, and ‘Nasir’ means to help and support others and so I pray that the hospital forever lives up to its name in all respects. I pray that it develops into an outstanding institution, known for its high calibre and, above all, for its unrelenting commitment to helping the most vulnerable members of society. At the end, I pray that all people, irrespective of religion, race or ethnicity, join together in the service of humanity and work towards the betterment of society, with a spirit of love and cooperation. 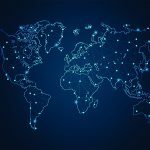 Today’s world has become like a global village, as every nation is now inter-connected and the means of communication are instantaneous. As a result, more than ever before, it is the duty of all humankind to foster a spirit of brotherhood and mutual love amongst the peoples of all nations and of all beliefs. Regrettably, the sad truth remains that instead of elevating our standards of love and compassion, the opposite is proving true. Selfishness, greed and a culture of ‘me’, is prevailing across the world and across society. 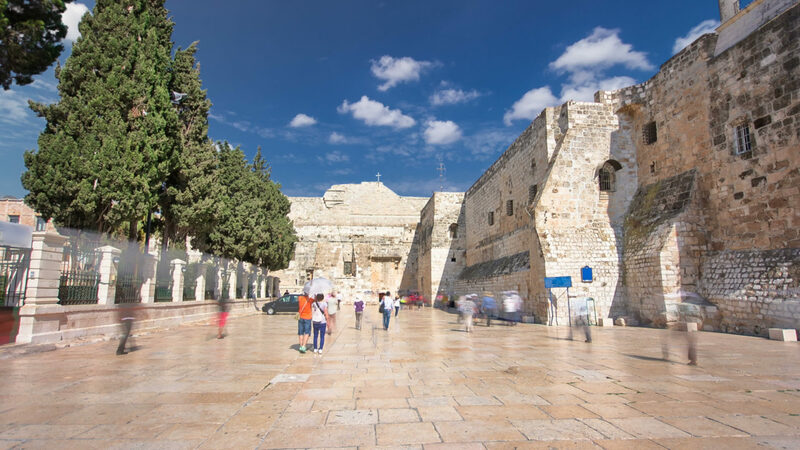 Thus, I pray with all my heart, that mankind forsakes greed and forgoes the pursuit of narrow self-interests and instead comes to recognise the importance of protecting all of humanity and of showing kindness, compassion and love to God’s creation. I pray that a spirit of service to humanity takes permanent root in society, so that we protect our future and leave behind a better world for our children and coming generations to live in. May Allah the Almighty enable all of us to fulfil our responsibilities in this regard, Ameen.